David Moore wields a cheap paintbrush, the kind you'd buy at a hobby shop for less than a buck. With a steady, purple-gloved hand, he paints a yellowish liquid onto a specially prepared piece of glass about the size of a half-dollar. And as simple as that, a perovskite solar cell is born. 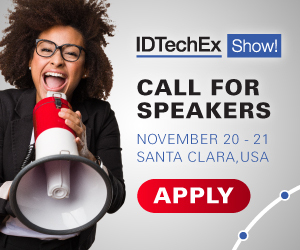 For more information see the IDTechEx report on Perovskite Photovoltaics 2018-20208 and Smart City Opportunities Infrastructure, Systems, Materials 2019-2029. According to Joseph Berry, a senior scientist at the U.S. Department of Energy's National Renewable Energy Laboratory (NREL), "There isn't another technology you can do this with." Berry, who leads the laboratory's perovskite and hybrid solar cells team, watches a voltmeter wired to Moore's new solar cell register the presence of an electric current. "There just isn't," he emphasizes. Moore, a staff scientist at NREL, is researching fast-drying solvents for the development of perovskite ink—a shortcut to the eventual commercialization of perovskite technologies. This innovation could replace the most common method for making perovskite solar cells in the lab: depositing some drops of the necessary chemicals onto a glass substrate, spinning that around so the liquid coats it, heating it over a hot plate, and waiting minutes until it dries. The dominant technology in the solar industry, silicon, relies on a chemical element that's heated to the melting point—and that's just the start of the process. However, a solar cell made from perovskite (a word that refers to the crystalline structure of materials), promises to be inexpensive and highly efficient. But what works in a lab doesn't always translate easily to manufacturing success. The spinning in the common perovskite process flings away most of the liquid, so a better approach was needed. NREL researchers therefore shifted their efforts to accommodate the idea of roll-to-roll processing. In the same way a newspaper can rapidly produce hundreds of thousands of copies of that day's edition by using a massive printing process, perovskite ink could also be applied to flexible glass. Accomplishing that feat, however, will require ink with just the right formula. In mid-January, Moore turned his paintbrush over to Under Secretary of Energy Mark Menezes during his visit to NREL. "We literally were doing a science experiment, not a demonstration," Moore recalls. "We didn't know what was going to happen." Menezes did replicate Moore's success, his solar cell generating about 100 millivolts. Improvements to the process since then have brought that number up to 650 millivolts, which is the neighborhood in which Secretary of Energy Rick Perry found his own solar cell when he got the chance to try his hand at painting perovskites during a visit to NREL in mid-August. So far, these painted solar cells are small and don't produce much power—but they represent an important step on the path to producing 25 terawatts, the amount of new power capacity researchers estimate the planet will need in the next 30-50 years as the population continues to increase. "That's a lot of power," Moore says. "You can't make silicon panels fast enough to get to that demand. But if you can roll stuff out on presses, then you could. Getting to a roll-to-roll manufacturing process would solve the speed problem. The most likely way to do that would be wet ink." Solar cells work when sunlight triggers the movement of electrons, creating a flow of electricity. Too few electrons in action means low efficiency. Getting more electrons to move improves efficiency—but moving too many of them causes energy to be wasted as heat. That's why solar cells are designed to be adjusted, or "tuned," to maximize efficiency by pulling in a specific slice of the solar spectrum. Tuning perovskites requires an adjustment in the makeup of the material. Take, for example, the type of perovskite commonly made at NREL, created from methylammonium iodide and lead iodide to make methylammonium lead triiodide. Activating more electrons requires the addition of bromide. Reaching a different segment of the spectrum requires replacing some of the lead with tin. "What would be nice is if I had a singular ink formation that was good for all of those different compositions we want to use," Moore says, "and we don't have that yet. That's what we're working on." To make perovskite ink, the active ingredients that ultimately form the film on the substrate must be combined. Other formulations require more complicated processing, including adding an anti-solvent to complete the process. But while there used to be a narrow time frame to add the anti-solvent—a single second—groundbreaking research at NREL opened that window to eight minutes. Changing that time frame makes a roll-to-roll system for manufacturing perovskite solar cells even more promising for the future. "By increasing the processing window, the production yield will increase significantly," says Maikel van Hest, a senior scientist in NREL's Chemistry and Nanoscience Center. The amount of perovskite ink in Moore's vial is small: one milliliter, which is only enough for a laboratory demonstration. But as perovskites must move beyond the lab, so too must the ink. "We don't make hundreds of gallons at a time," van Hest says of the ink used in Moore's painting. "The largest quantity of ink we've made at once is when we did some roll-to-roll trials. We're talking about several hundred milliliters at once. But that's a large enough quantity that you can have confidence you can make this in gallons or hundreds of gallons." Another type of ink, developed by van Hest, is also needed to make the perovskite solar cell work. His metallic inks allow him to deposit contact layers onto the glass substrate before Moore adds the perovskite ink. Without the contact layer—made of titanium dioxide in this case—the electrons would have nowhere to go. As Moore says about van Hest, "He actually does the hard part, but you don't get to see it. I just come in and paint my perovskite and get my picture taken." The ability to make contact layers and perovskites using these specialized inks could ultimately provide another path to market besides roll-to-roll manufacturing. The day may come when a crew shows up to your house, sprays the metallic contact layer onto an outside wall and, when that's dry, applies the perovskite ink. "You paint your house once every 15 years," says Berry. "You'd like this to last at least that long." Berry and others have found tremendous potential for perovskite solar cells. The technology's efficiency at converting sunlight to electricity reached milestone after milestone, moving faster than any solar cells ever had. Other research showed that perovskites also possess the longevity needed for long-term use and can be scaled up beyond the small samples made in a laboratory. "Are we going to have a commercial product next week? No, not yet," van Hest says. "But we are getting closer every day." IDTechEx comment: NREL work is truly world class but there are issues of poisons here. Lead is a familiar word that can make us too relaxed about the horrific injuries and deaths from poorly controlled smelting in China and uncontrolled disposal of lead acid batteries in the Third World and China. NREL earlier announced a methylammonium borate/ lead perovskite two layer window that darkens when the sun is out and makes electricity as a smart window. That is two lead producers. Even the latest invention is rather like banned lead paint arriving by the back door. See our report on poison alternatives in electronics and electrical engineering.